MerchACT specializes in Quebec high risk payment processing. We help high risk merchants of varying sizes, industries, niches and business models obtain a merchant account. Our work doesn’t stop there. We also provide consulting and guidance on the best solutions for other payment processing needs you have, including PCI compliance, security, fraud and chargeback prevention and more. If you are a startup or an existing business deemed as “high risk”, we can help you get set up with the right payment processing solutions from Day 1, so you can pursue the best business opportunities and optimize revenue streams. If you’ve been a victim to the “bait-and-switch” tactics of other merchant services providers, we can help you get back on your feet. Many of our current clients came to us after having worked with a traditional or non-specialized merchant services provider that took a substantial cut of their profits or outright terminated them. They may have been penalized for high volume, required to hold a reserve (so merchant service providers could hedge against their future returns), or outright terminated and left with no recourse. MerchACT works with high volume merchants who are often subject to volume caps or fees from traditional merchant services providers. We understand how to navigate the murky waters of direct sales, multi-level-marketing (MLM) and other high volume industries and can provide stable, reliable payment processing for these merchants. We work with our high risk customers to create a chargeback management plan. Regardless of the industry you’re in, we can help you continue to keep chargebacks at bay or work with you to establish a chargeback reduction plan. We are your partner in fraud prevention. MerchACT provides Quebec high risk payment processing customers with some of the lowest fees available. We have reliable and long-term relationships with top banks who are interested in doing business with our merchant portfolio. These institutions have higher risk tolerances as well as more open minds, enabling our merchants to secure a merchant account that works for their business. MerchACT leads the industry in providing Quebec high risk payment processing solutions to merchants in any industry. Our customers enjoy secure, scalable and flexible payment processing solutions that are tailored for their needs. We start by reviewing your business, including financials, business model and other pertinent information. We create a strategic plan to help you obtain the right merchant account for your unique business model and needs. Over the past 15 years, we have partnered with thousands of merchants to help them stabilize and optimize their payments operations. If you need Quebec high risk payment processing help, our seasoned team of experts can evaluate your business and create a custom plan for you. We work with merchant banks all over the world to place our merchants with the best fit. Our long-standing banking partners thoroughly understand the high risk industry and have a broader understanding than traditional banks. As your partner, we do the heavy lifting, We understand every facet of high risk payment processing so you don’t have to. Our consultants work hand-in-hand with you to achieve the best possible outcome for your business. We work alongside you and your team to streamline payments from start to finish. If you’re looking for a true partner, proven solutions and a secure merchant account, we can help. 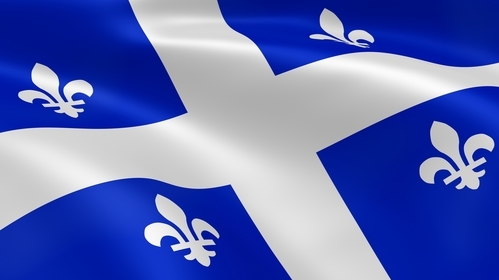 Let us help you with your Quebec high risk payment processing needs. We work with established and new businesses alike. If you’ve been labeled “high risk”, we can help you establish a new foundation for your payments operation and navigate the waters of compliance, chargebacks and fraud.